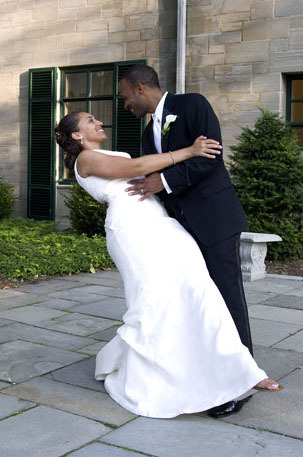 Dwight brings a photojournalist's eye to your wedding ceremony and reception. Unobtrusive but thorough, he will cover all the prenuptuals, wedding and reception. Your wedding will be custom edited, including music and still photos you provide. Your final DVD will come with a custom cover. Videotaping is done with professional High Definition digital camera equipment and sound capture. Your wedding is unique. I don't use formulas or templates. I will work with you in customizing coverage to suit your needs. See basic pricing information below. Dwight can also cover all your wedding photography needs. Contact him to discuss photo AND video coverage. Price breaks will apply. You want a videographer to capture all the candid events, but not be in your face. To be there when need him, and to fade back other times. To capture all the parts of your wedding you would never see otherwise. Trust your wedding to Dwight Cendrowski. I'm located just across the park from Cobblestone Farm, popular site for weddings in Ann Arbor. Visit event video services to learn about video coverage for organization conferences, award ceremonies and conventions.